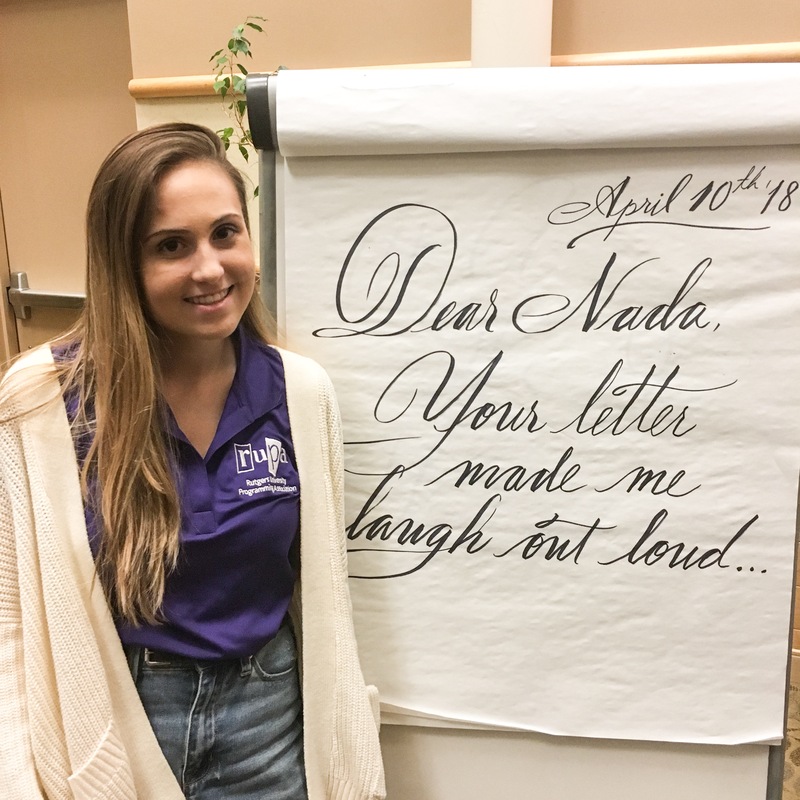 As the Marketing Assistant Director (MAD) for the RUPA Arts & Culture committee, I’m responsible for promoting events related to the arts, such as passerby crafts, Broadway trips, and lectures, using social media and print marketing. This means I collaborate with the Media Team to create flyers, draft supporting posts on Facebook and Twitter, and create fun Instagram/Snapchat stories. This is why it was truly awesome to see how many people came out to our calligraphy workshop with Rajiv Surendra last Tuesday, as it was a product of many nights of drafting social media posts and brainstorming ways to best reach Rutgers students who may be interested in attending. I am absolutely grateful to have such a platform that enables me to regularly interact with Rutgers students who are looking for meaningful experiences outside of the classroom.